Residential Pumps Central IL - Armature Motor & Pump Co. Pumps are a daily part of your home life. 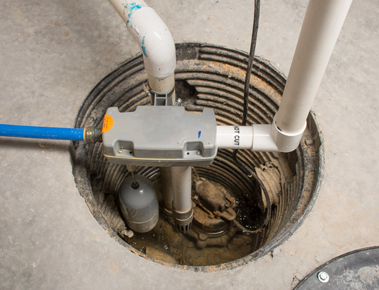 Sump pumps kick on to prevent your basement from flooding. 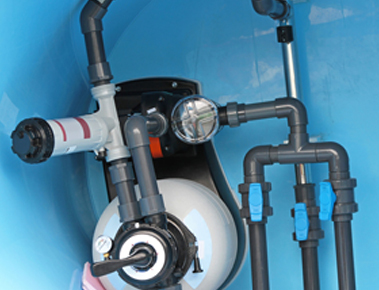 Sewage pumps move waste from your toilet to the sewer or septic line. Even in your pool, a pump works to cycle and filter water. Pumps are used everywhere, and for the best residential pumps Central IL locals can find, look no further than Armature Motor & Pump Co.
Armature Motor & Pump Co. has been repairing and replacing residential pumps for over 25 years. Our service technicians can identify issues with any pump and resolve the problem through replacement of parts. And if something can’t be fixed, we offer new pumps from trusted brands like Abb Baldor and Victor Technologies. What Residential Pumps Do You Use? These pumps are primarily used when heavy rain or flooding hits your home. It is the goal of a sump pump to keep your basement from flooding. Water first accumulates in a pit installed in your basement. Once it reaches a certain level, a sump pump will drain it out of your house. When you use these pumps, it’s mainly in emergency situations. When all other pumps fail, a utility pump offers you a manual solution to temporarily move water. These pumps range from submersible and non-submersible to hand pumps and more. What Else Can We Service? Although our services are widely requested for residential pumps, Central IL residents come to Armature Motor & Pump Co. for a variety of other work. We handle repair and replacement for a variety of other machine parts for motors and air compressors. Additionally, our technicians perform laser alignment and dynamic balancing for all motors and pump systems. 309-699-4267. Also, you may find us located at 3011 N. Main Street, East Peoria, IL 61611.